This entry was posted in Uncategorized on November 30, 2013 by Gary. This entry was posted in Uncategorized on November 28, 2013 by Gary. Because it’s my birthday today I’m going to publish the morning report. It’s time for a pep talk. Folks bear market bottoms are the single greatest opportunities one ever gets in investing. The initial move out of a bear market bottom is where the really big moves occur, and occur fast. Look at what happened as miners came out of the last bear market. Considering that this bear market has been artificially induced and has severely damaged the physical market this bottom has the potential to be even more aggressive than the 08 bottom. Throw in a dollar crisis next year, and a bubble phase that’s due to start anytime and it gets even more bullish. Folks we’ve got everything on our side. We have an intermediate cycle that is 22 weeks long. That is smack in the timing band for a bottom. We have a daily cycle that ran long at 29 days. We have sentiment that is at levels typical of intermediate bottoms. We have a dollar cycle that has rolled over in a left translated pattern and a three year cycle that has topped. We have a massive volume spike in NUGT. A sure sign that smart money is positioning for an impending bear market bottom. And now we have insiders buying. All of our tools have lined up to give a buy signal. This is why we sat on the sidelines, so we would have the mental capital to pull the trigger when the time came. The time has arrived. It’s time to pull the gym bag out of the trash can and get back to work. The $10 one week trial is still active. 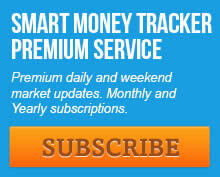 Click here to sign up for the trial and read the latest daily report. This entry was posted in Uncategorized on November 27, 2013 by Gary. The buy signal came today. Every down day should be bought from here forward. This almost certainly takes $1000 off the table. I’ll elaborate in tonight’s report. I see many analysts lately wondering what the next catalyst will be to send gold higher. Isn’t it obvious? Without fail throughout history, every crisis eventually occurs in markets where excesses developed. From 1990 to 2000 the misallocation was in the tech sector. We all know how that bubble ended. In order to halt the tech bubble implosion and economic recession, the Fed cut rates to 1% and held them there long enough to create a bubble in real estate and the credit markets. Not surprisingly this is where the next crisis hit. Panicking at the 2009 bottom the Fed again resorted to the only game plan they know and begin printing money at absolutely mind-boggling rates. This has continued nonstop ever sense and along the way virtually every other major economy in the world jumped on the printing train. Isn’t it obvious where the excess is? It’s in the currency markets. And just like every other time in history when the crisis hits it’s going to hit where the excesses occurred. The next crisis is going to be in the currency markets. It began last year with the Japanese yen. The next in the line to get in trouble will be the US dollar at its three year cycle low, due in the fall next year. After that I expect rolling currency crises as one after another of the major global currencies begin to collapse under the strain of insane Keynesian monetary policy. At the moment it seems to be fashionable to use the commodity markets has an indication that deflation is taking hold in the world. Nothing could be further from the truth. As a matter of fact we have massive inflation right now. It’s just that it is being stored in the stock market, bond market, and to some extent in the echo bubble in real estate. Once the inevitable currency crises began, inflation will start to drain out of stocks and bonds and into the commodity markets. 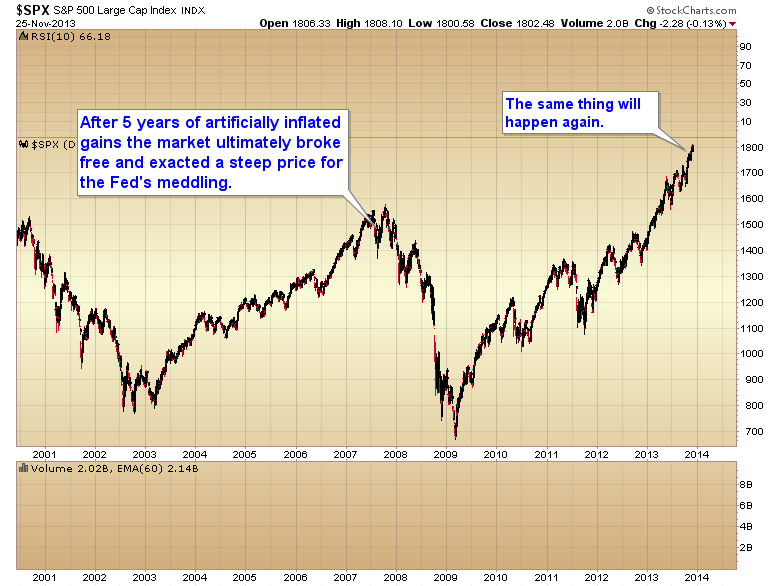 Let’s face it, it’s obvious where the next crisis is going to occur, and currency crises are not deflationary. They are massively inflationary. 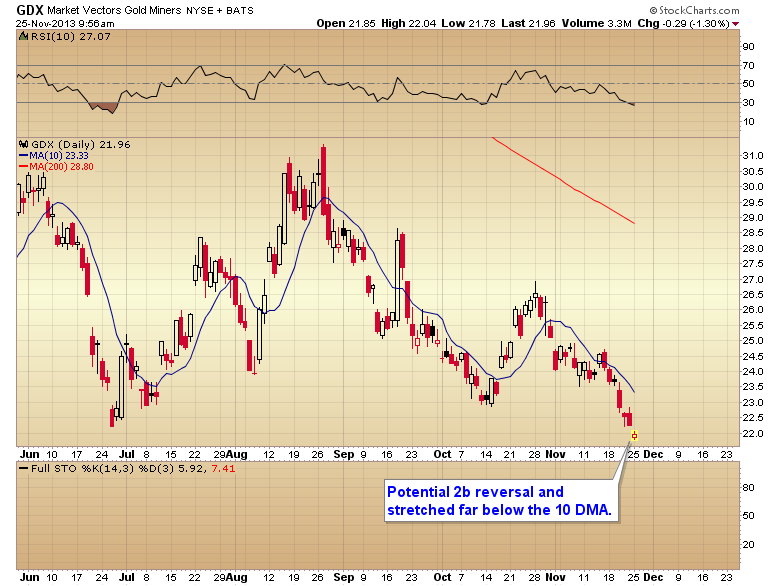 GOLD: BRIEF PAUSE OR FINAL BOTTOM? It’s been my opinion for months now that the forces behind these take downs were trying to push gold back down to the 2007 C-wave top at $1030. At which point I expected they would flip sides and go long for the bubble phase of the bull market. After watching gold fight off the manipulation today I’m starting to wonder if gold has been pushed as far as it’s going to go. Something happened on Friday that I didn’t expect. And it has the potential to signal a major turning point. On Friday the dollar continued to drop. Why is this important you ask? It’s important because it probably confirms that the daily cycle low has now begun and we are not going to get one more push up in the dollar index like I was expecting. We needed that next push up to clearly form a right translated cycle. As of Friday the dollar cycle has topped on day 10. That isn’t blatantly left translated, but it’s certainly not right translated. Let’s put it this way, it has the potential to become a left translated cycle. And I needed to see a clear right translated daily cycle out of an intermediate bottom to confirm the strength of the rally. We are not getting it. To read the rest of the weekend report and see my views on how this will affect commodities and gold click here for a $1.00 two day trial subscription to the SMT premium newsletter. This entry was posted in Uncategorized on November 23, 2013 by Gary. This entry was posted in Uncategorized on November 22, 2013 by Gary. This entry was posted in Uncategorized on November 21, 2013 by Gary.